Install a digital catalog maker software and market to mobile, tablet, PC, Mac, laptop and eReader audiences. You can simply purchase a license and start creating endless editions of catalogs with your software at the time and convenience that suits you. All you need is a PDF of your catalog to get started, import it into the digital catalog software and off you go. Now you can add rich media and interactive features to further advertize and enhance your products. Please click on the example below to launch the catalog. 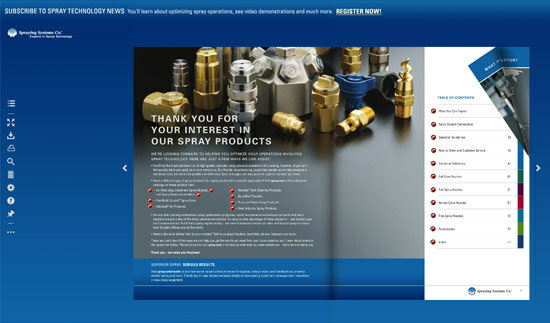 You can see in this example above how the Spraying Systems Company have given prominence to their corporate colors and branding throughout their publication. You can see a wide range of video tutorials that can show you how to easily use these techniques. Using your logo, incorporating a background image or color, using a customizable intro area, adding banner adverts, adding more info buttons, these are all features this catalog uses to great effect. Fast product amendments: This is so easy to do with a digital version. Having the ability to make price changes quickly saves time and money on reprints that with printed catalogs you would have to endure. Monitor which pages are bringing you the most traffic, sales and clicks. You will know the most clicked on products via the stats available with the software. 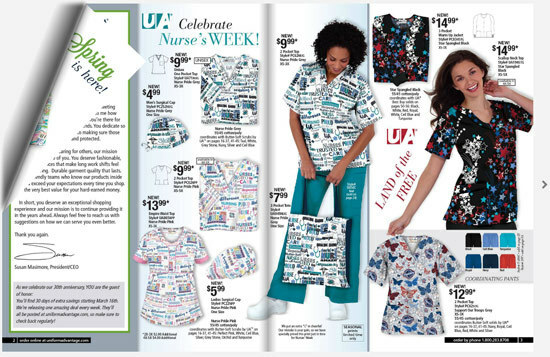 It’s a catalog from Uniform Advantage a company that sells work uniforms specializing in medical and nursing uniforms. You can click on any garment and be lead to the web page place your order. See a tutorial video on how to add web links to images here. Our last example today comes from Avian Duty-Free. It’s a catalog to showcase their in-flight product range. 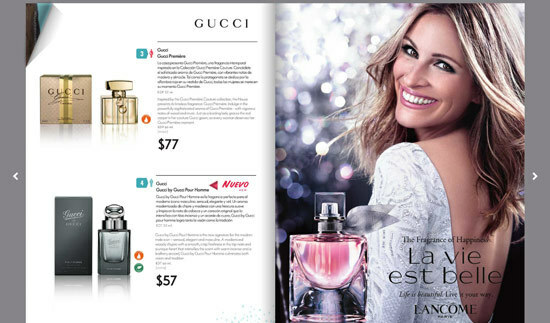 The products are well laid out with visual and text descriptions, integrated with branded full page adverts throughout. All examples shown in today’s blog were created with 3D Issue’s catalog maker software. I hope this will inspire you to create your very own catalogs from PDFs and start to enjoy the benefits it will undoubtedly bring through the vast world of online marketing. If you have any questions please contact info@3dissue.com.